I don’t know who had the brilliant idea of placing Thanksgiving in the middle of the week: who has the time to go shopping for loads of fresh ingredients mid-week? Luckily I don’t have this problem (in France we don’t celebrate Thanksgiving) but you might so… good luck with the Big Preparation, you have less than 24 hours to do everything! Freaking out already? Don’t worry, I’m here to help you out. No, I’m not gonna give you the recipe for stuffed turkey, but I’ll show you how to prepare something so magical that will improve whatever you have cooked, no matter how you cooked it. 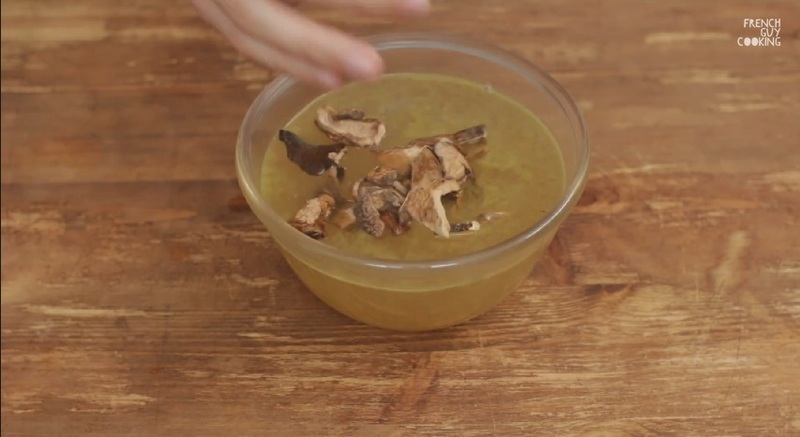 It’s my no fuss, fail proof, doable-in-under-10-minutes-with-what-I-have-in-the-pantry recipe for my pimped gravy. Despite not celebrating it I’d love to thank all of you guys! MERCI! Happy Thanksgiving! Prepare the stock: to three cups of boiling water add three stock cubes and stir until disolved. Add one handful of dried mushrooms, one tablespoon of tomato purée (or ketchup), Worcestershire sauce and/or soy sauce to your likings. 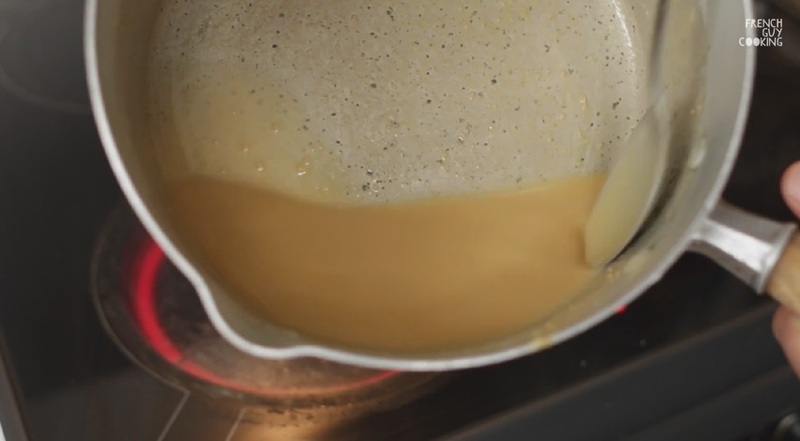 In a saucepan melt the butter and add the flour. Let it cook for a few minutes stirring continuously. 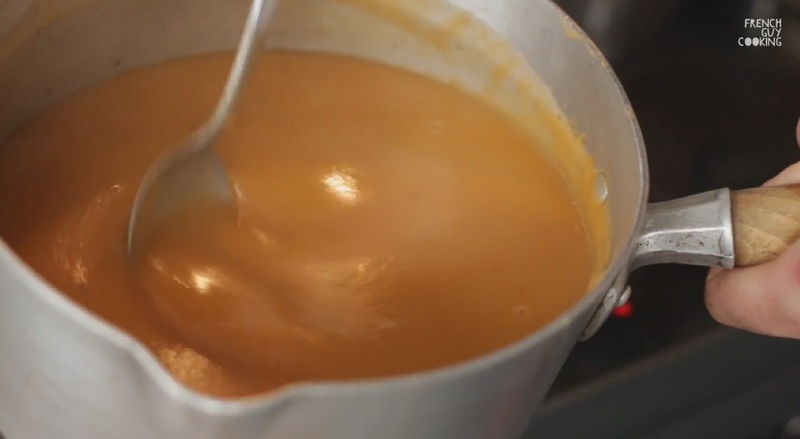 This preparation is called roux (you might recall it from my Cheat’s on the Béchamel Sauce). 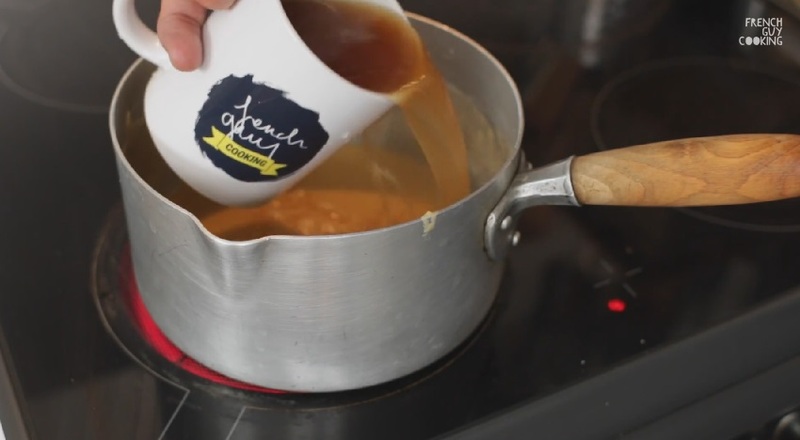 Cook your roux until it turns lightly golden brown. Add three cups of stock (adjust the quantity until you obtain your desired consistency: less stock for a thicker gravy, more stock for a runnier gravy) and mix continuously until the sauce thickens. Pour it hot over your meat, vegetables and mashed potatoes.